On behalf of the Organizing and Scientific Program Committee, we are pleased to invite you to participate in the 2nd International Conference on Urban Planning - ICUP2018. Preliminary date of ICUP2018 is 14 – 17 November (Wednesday to Saturday). The official language of the Conference is English. All submitted papers will be double blind peer reviewed. The scientific committee of 2nd ICUP2018 is composed of internationally recognized academicians practicing in Europe, Asia and USA. 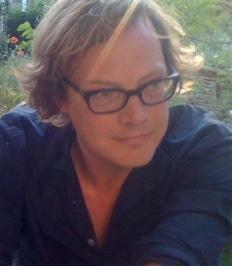 Jorg Sieweke practices as a registered landscape architect and urban designer in Berlin since 2001. In 2015 he received his PhD from TU Berlin for his dissertation reflecting and explicating design research methods in landscape urbanism. He was a resident fellow at the German Academy Villa Massimo in Rome and a DAAD Fellow as a Visiting Professor in Urban Ecology at HafenCity University Hamburg in 2015.From 2009-2016 he held a full-time faculty position at the School of Architecture at Thomas Jeffersons University of Virginia among other appointments at TU Dresden, TU Berlin, RWTH Aachen, as well as Art Academy’s in Berlin and Stuttgart. Recent research subjects concern design theory focusing on contemporary methods and concepts of design and nature. His design-research initiative paradoXcity investigates the modernization and urbanization of Delta Cities in comparative case studies of New Orleans, Baltimore, Venice, Hamburg and Rome. One objective is the relationship between green and grey infrastructure in respect to the deltaic and urban metabolism. ©2018 Cluster of urban plannineg. All rights reserved.